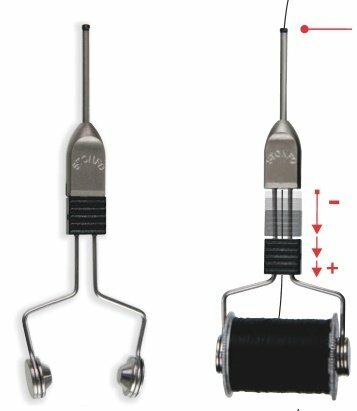 Stonfo Bobtec1 Adjustable Fly Tying Bobbin- This stainless steel bobbin has a slider control for adjusting thread tension. It also allows for a quick change of thread spools. Perfectly balanced when rotating, it is an ideal bobbin for creating split thread dubbing loops. The tube has a very strong hardened steel bushing to prevent fraying. If you have any questions about this product by Stonfo, Italy, contact us by completing and submitting the form below. If you are looking for a specif part number, please include it with your message.